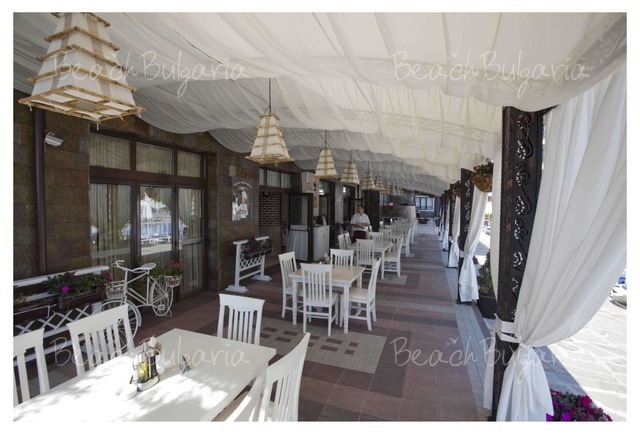 Bendita Mare Apart-Hotel is situated in a park, 100 m away from the beach of Golden Sands resort. 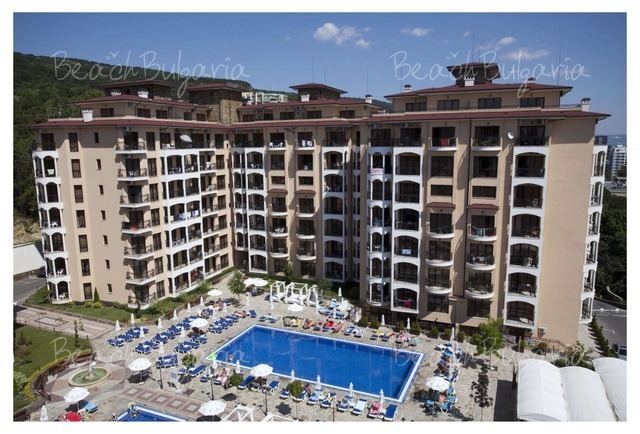 The centre of the resort is located 500 m from the hotel and the Aquapolis Aqua Park is 1 km away. The hotel features 100 studios and suites. The air-conditioned guestrooms are fitted with cable TV (flat-screen TV in some of the rooms), tea/coffee maker, kitchenette with microwave, bathroom with shower and balconies with beautiful views. 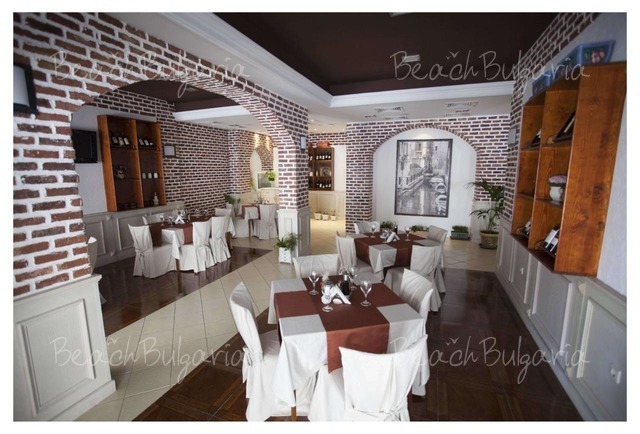 The hotel offers a-la-carte restaurant serving local, Bulgarian and Italian specialties. The lobby bar offers pleasant atmosphere and refreshing drinks. 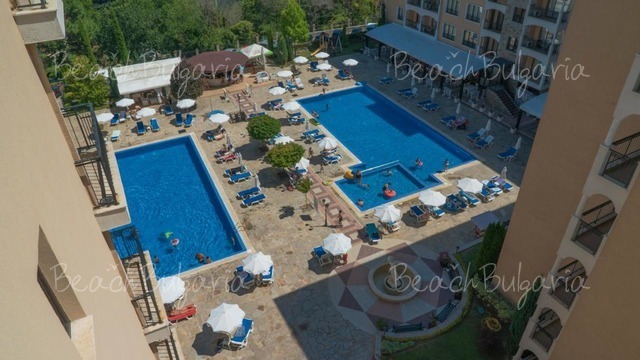 The property offers swimming pool with free sunbeds and parasols, children swimming pool and playground, darts and billiards, fitness centre, professional animation team, outdoor parking lot, Internet access, boutiques, shops, beauty salon. 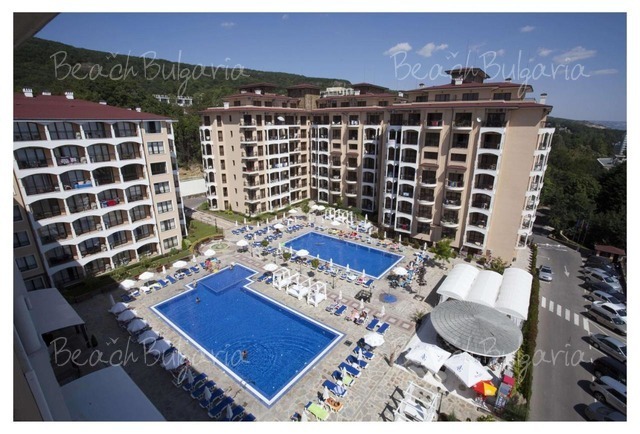 * The prices are in Euro, per studio/apartment, per night. Please note that breakfast is NOT included in the price. 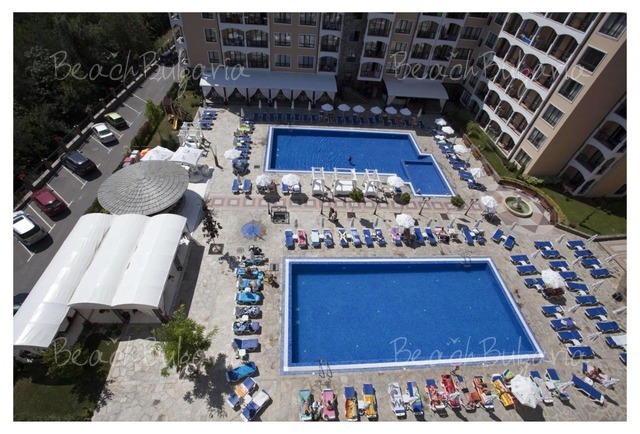 Guests of the hotel can use the swimming pool, sunbeds, parasole and parking for free. 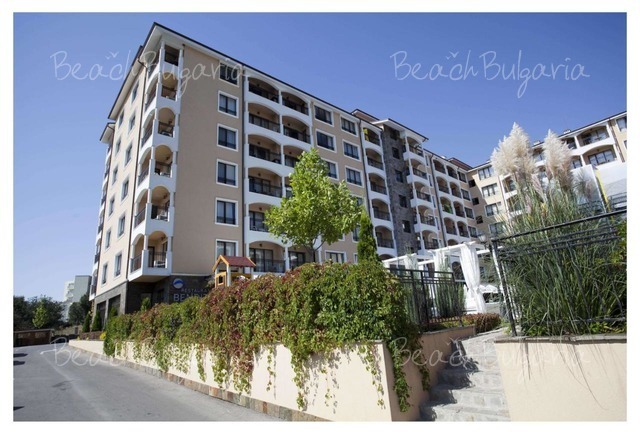 * Maximum capacity: Studio/1-bedroom apartment - 3 adults; 2-bedroom apartment - 6 adults. * Cancellations can be made free of charge providing details of this are received at least 7 days prior to check-in time on the day of arrival and 21 days during 06 July - 27 August - cancellations made after this period will incur a fee equivalent to the cost of 3 night's accommodation. 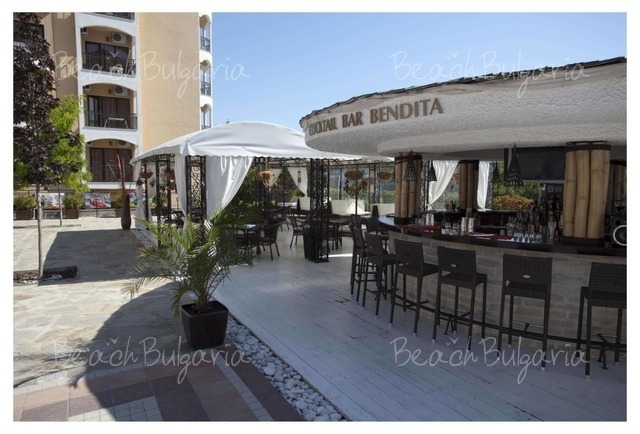 Please, post a comment on Apart-Hotel Bendita Mare. Hotel and the staff were wonderfully friendly, and would recommend highly. 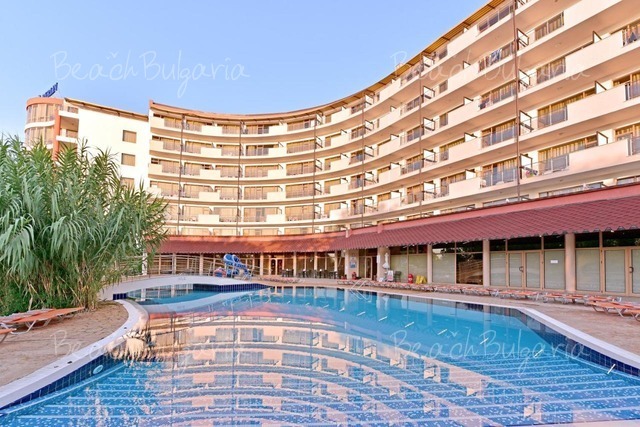 All inclusiveEarly booking Berlin Golden Beach Hotel Golden Sands - 30 % discount until 31 Jan 2019; - 20% until 31 March 2019.